What do all the numbers and codes on your tyres mean? 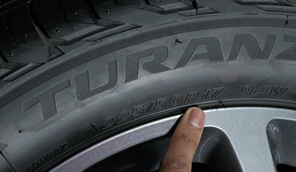 What do the numbers on the side of a tyre’s sidewall mean? Load index, speed rating, rim diameter, width, and aspect ratio are numbers and symbols that will differ across the different makes and types of vehicles. Fitting the correct tyre is important for a number of reasons. What’s that noise coming from your brakes? The grinding, squeaking, thumping and scraping noises from your brakes are some of the most terrifying sounds you can experience in your car. It’s best to be prepared so that you can take immediate measures as soon as this happens to avoid further damage. How do I know my shock absorbers need to be replaced? 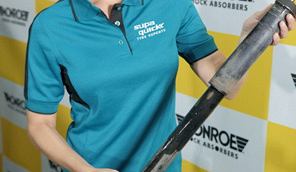 How do you know when to replace the shock absorbers on your car? Worn shocks increasing stopping distance significantly. For safety reasons alone it’s important to test your shocks for wear and tear every now and then - something that can easily done at home with a simple bounce test. Why do the nuts need to be removed in a specific order when changing a tyre? Wheel nuts need to be removed and replaced in a specific order when changing a tyre in order to keep them tight. The cross pattern method keeps the wheel sitting straight on the hub, reducing the chance of components moving or shifting. Not only is maintaining the correct tyre pressure important to safe driving, it also goes a long way to extending the life of your tyres and saving you money. This means ensuring that your tyres are inflated to the optimal pressure for your specific vehicle - and maintaining that pressure daily.